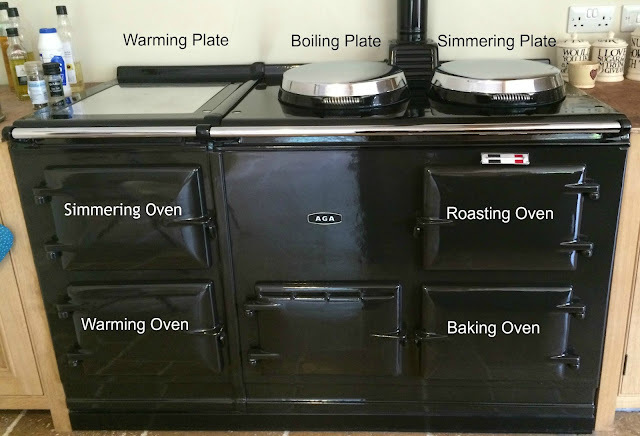 made up of little things .... the life and loves of a lincolnshire lass: Living With An Aga Part 1 - How does it work? Last week I asked on Twitter if anyone would be interested in a post on Aga cooking and there were a few tentative cries of 'yes please'. 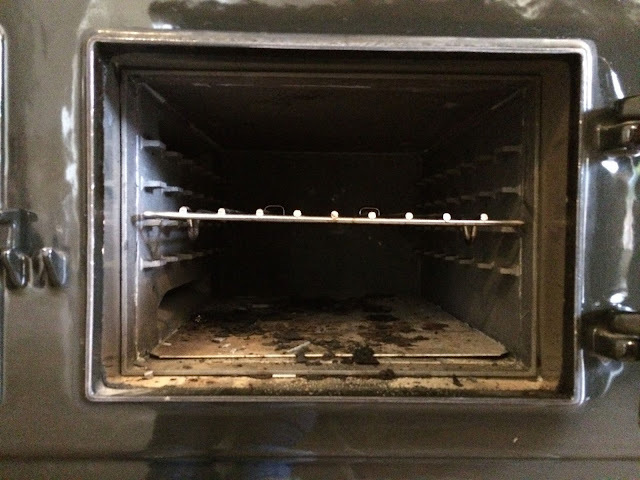 I need little encouragement to wax lyrical about one of my favourite subjects so here is the first in a two part series about living with an Aga. I remember when we started planning the kitchen at the 'new house' (though it's obviously not new now) and we first looked at Agas. 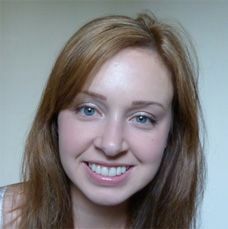 I knew little about them, other than that they featured heavily in horsey books from my childhood and later in life, my Jilly Cooper favourites, and they seemed to be used to impart a feeling of warmth, solidity and cosiness. This appealed to me A LOT, as you can imagine. I started to do my research and was immediately captivated. Aga cooking is a completely new way of cooking, I read, an Aga makes a house a home, once you've had one, you'll never want to be without one. I also found lots of videos like the one below which romanticised the notion somewhat further and before I knew it, owning an Aga became my new obsession. I have to say that I've been through periods of being completely and utterly in love with my Aga (winter mornings, winter evenings, Christmas catering etc) and times when I'm a little less enamoured (when we get an energy bill, hot summer days) but on the whole I am definitely a convert. It still feels like a treat to own such a classic, unique addition to the kitchen even 18 months down the line. I never tire of the all-encompassing warmth that envelops me when I open the kitchen door and I just love its silent, ever-present comfort, not to mention the gravitational pull that attracts my bottom every time I have a cup in my hand. I feel like I'm letting it down by not having the cupboards on either side oiled, the granite worktops not fitted, the back not tiled and no beautiful surround in situ. All in good time, my beauty! Let's not beat about the bush - they're not cheap. To buy or to run. They're not fantastically friendly to the environment either. So they do come with an element of financial burden and guilt attached, I'm afraid. That said, they are made from 70% recycled cast iron and an Aga is 90% recyclable so, you know, there's that. I plumped for a 4 oven electric Aga in Pewter - choosing the colour was one of the hardest decisions, I must admit, just look at the range available! Pewter is gorgeous and classy but given my choice again, I'd be seriously drawn to the duck egg blue, despite the fact that it wouldn't match anything in my kitchen. I'm told by Aga engineers that cream and black are the most common but it's a statement piece after all, why not be bold? There are no knobs or dials to adjust the temperature, just a single thermostat which you set up and forget about. There is a temperature gauge above the Roasting Oven with three ranges - the mid range means that you are able to cook and when the mercury sits on the black line, you are at optimum temperature. 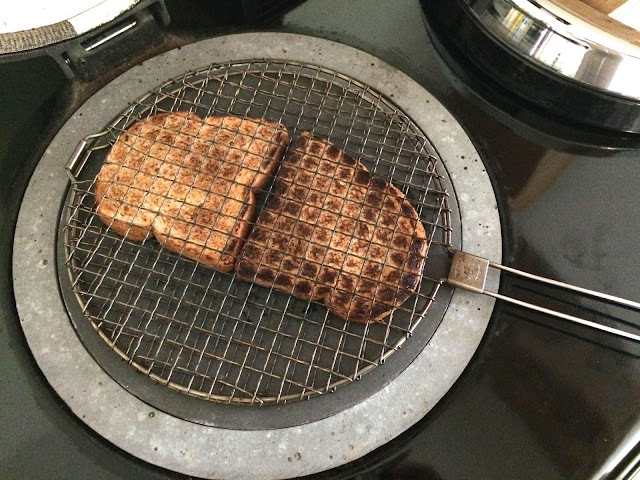 You can cook within the range, above or below, but expect it to take more or less time than it should. Apologies for the terrible picture, it was the best I could do with a huge kitchen island in the way! The hottest domestic heat source known to humankind - quite simply, it boils. Very quickly. This is where you boil your kettle, make toast, sear steaks etc. About half the temperature of the Boiling Plate - it simmers. If you put something on here cold, it will cook gently, so it's perfect for making sauces, scrambled eggs etc. 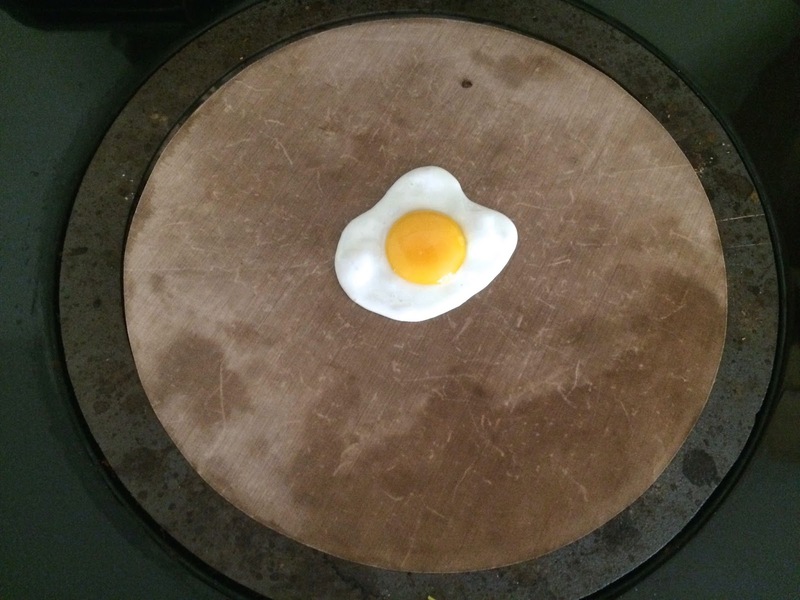 If you start something off on the Boiling Plate and transfer it to the Simmering Plate, it will continue to boil (albeit less rapidly) You can also make toasted sandwiches by placing the sandwich directly onto the plate, on top of a piece of specially shaped Bake-O-Glide (more on which in Part 2) and fat free fried eggs the same way. Welsh cakes, American style pancakes and popcorn are also cooked here. That's it for Part 1, I hope it was interesting. 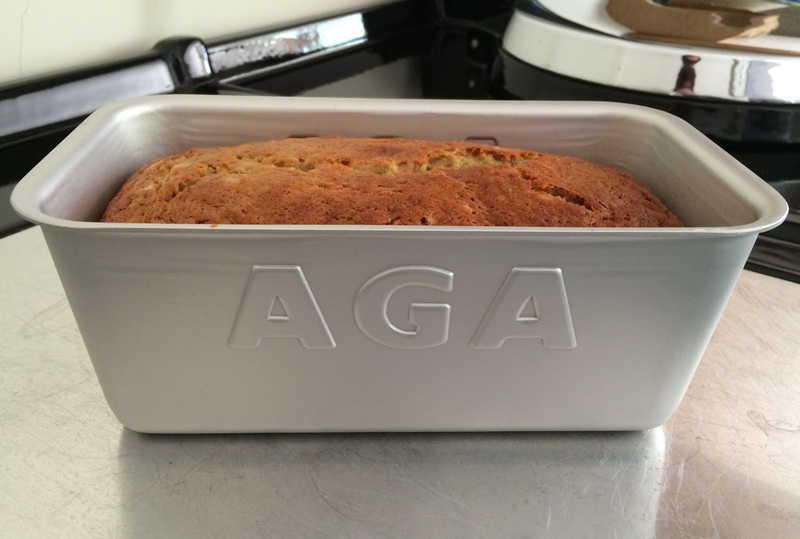 Part 2 will go into a bit more detail about the imprecise art of Aga cooking and the other uses for the Aga. I have NEVER understood aga's, and have always been intrigued by them, so thank you for this post. However, I now resent my crusty old oven even more than I did before, humph. Ours was a sky blue colour when we moved in so got it reconditioned and it is now cream. We only have the 2 ovens and 15 years later, we still manage to incinerate things on a regular basis because you can't smell when something is burning! We usually turn ours off in the summer to save some ££ and it makes the house too hot! I agree, it can be WAY too hot in the summer! We have ours on a timer so it switches off overnight but it is still really hot!